Bhujapidasana is the first arm balance in the Ashtanga Yoga Primary Series. It is the first pose that is placed at the peak of the series. When we break down the Sanskrit name, it translates to arm/shoulder pressure pose (Bhuja: arm/shoulder, Pida: pressure, Asana: pose). In my opinion, Bhujapidasana is one of the most challenging poses in the Primary Series. It takes time to build a relationship with any difficult asana. There are no shortcuts in Ashtanga Yoga. This is how we learn patience, perseverance, discipline and non-attachment. Bhujapidasana is a complex pose that incorporates all the elements that are developed leading up to this point in the series. In order to access the full expression of Bhujapidasana and its transitions, we must have a great amount of strength in the arms, shoulders, core and inner thighs, along with hip and spine flexibility. It is a perfect example of the beauty and logic behind the sequencing of the series. 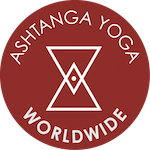 The Ashtanga Yoga Primary Series is sequenced in a way that each pose prepares the body for what comes next. We begin warming the body, building strength and setting a rhythm for the breath and flow of practice with Surya Namaskar. Next come the fundamental standing poses, which create a strong foundation, stability, and connection to the earth. When we move to the ground, we begin to strengthen and open the body through a series of poses that are followed by counterposes. For example, we begin with Paschimottanasana, stretching the back line of the body, followed by Purvottanasana, stretching the front line of the body. The first half of the Primary Series builds the strength, flexibility, and stamina required to access Bhujapidasana. The emphasis on forward folding develops hip and hamstring flexibility. Prasarita Padottanasana A is a great preparatory pose for Bhujapidasana. In this wide-legged forward bend, we develop deep hip flexion by working the torso and shoulders through the thighs. Poses like Utthita Hasta Padangusthasana, Utkatasana, and Navasana work to build the inner thigh strength required to squeeze the legs against the arms in Bhujapidasana. We build strength in the arms, shoulders, and core when we jump back and jump through. We begin to use the hands as part of our foundation supporting the weight of the body as early as in “trini” position, when we press into the hands and lift the head, chest, belly, and seat. The skills we need to explore Bhujapidasana are all learned in the first half of the primary series. That’s not to say that this pose will ever be easy. It takes patience and incredible focus. If we are struggling with Bhujapidasana, which is to be expected, it’s important to stay vigilant with our breath and our confidence. Take practice day by day, believe in yourself, and don’t give up.